16MBit universal combo ROM supports ALL Bally and Stern -17, -35, -133, MPU-100 and MPU-200 games. Game selection DIP switch allows for a maximum of 256 different game ROM options. All software for Bally games is custom and includes free play options. All Stern games have a free play option as well. NVRAM included (no batteries needed). Tons of extra RAM and ROM available for home brew expansion. Clock speed and and ram width selected by dip switch and/or jumper shunts(included). See the setup info below. Enter your game name if you would like the game selection preset for a specific game so it comes plug and play ready. Pick your game (jumper) option below. New replacement Bally -51 sound board. Universal ROM chip compatible with BMX, Frontier, Future Spa, Gold Ball, Grand Slam, Hotdoggin', Mystic, Nitro Ground Shaker, Silverball Mania, Space Invaders, Rolling Stones. Game selection is done by jumper shunts. Enter your game name below if you would like me to set the jumpers for you. Panasonic Electrolytic Caps. All ICs in a socket. 1.6mm thick PCB with 2 oz. copper. Works with the VSU-100 speech board. Works with original and replacement MPUs. Used in Ali, Big Game, Catacomb, Cheetah, Dragonfist, Flight 2K, Freefall, Galaxy, Iron Maiden, Lightning, Meteor, Nine Ball, Orbitor 1, Quicksilver, Seawitch, Split Second, Star Gazer, and Viper. New Bally / Stern Solenoid Driver / Voltage Regulator Board. No overly complex circuits or custom programmable components. Original HV circuit with over sized wattage rated resistors and TO-220 packaged transistors. New replacement Rectifier Boards. Extra wide and thick traces. All connector pins have a bottom side trace connection. 35A bridge rectifiers. Good quality and properly rated fuse clips (unique clip set for the 20a fuse). Littlefuse or Bussman brand fuses. Molex brand headers. Available in three options. Fully assembled, as a DIY Kit with all the parts needed to assemble, or just the blank circuit board. *** 03/08/18 *** Assembled Rectifier Boards and DIY Kits now include four nylon standoffs and four 1.5" machine screw with nuts. These are optional and to be used to mount the board to the transformer panel if your original stand offs are broken. Head of the machine screw is intended to be on the top side of the rectifier board. Plug and play replacement. Two sided board with 2oz copper and wide traces. High efficiency switching 5v regulator reduces heat and current draw. 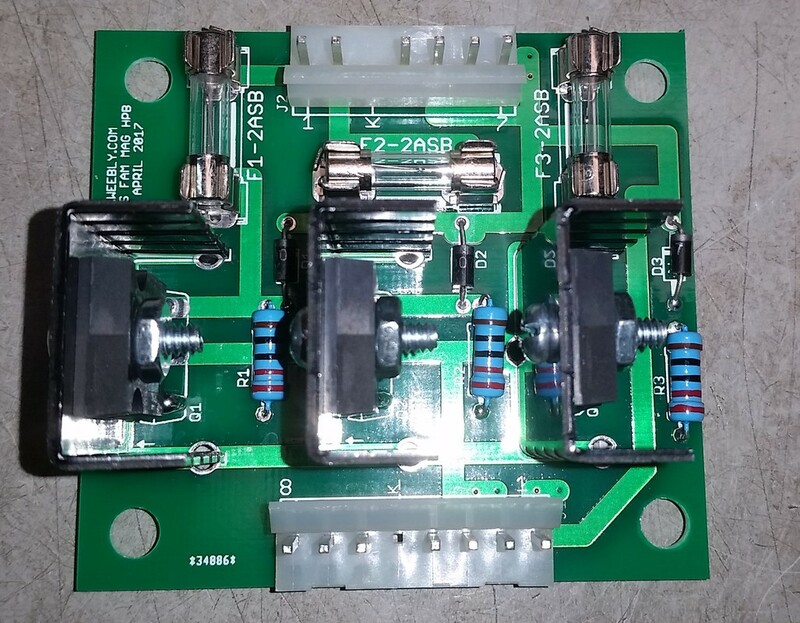 ​New replacement Aux Lamp Driver Board (AS-2518-43) with optional LED support. New PCB design and all new components. Has loading resistors for LED support. Just bring the switched illumination bus to the marked J3 0.156" Molex header and LED bulbs driven by this board will not flicker or ghost.Same physical size and mounting holes as the original. Replacement for MA-831 (80B) and MA-1359 (System 3). Fixed +5VDC output, no trim pot. Runs cool to the touch. New replacement MA-1722 Aux Driver board for Gottlieb System 3 pinball machines like Stargate, Streetfighter, World Challenge Soccer, Waterworld and more. Authorized distributor sourced IRL540N mosfets. Has both header pins and card edge connector for maximum compatibility. Durable design with 2oz copper. Wide traces. Large pads. Plated through holes. High reliability series Nichicon Electrolytic Capacitors. Electrically identical to original. 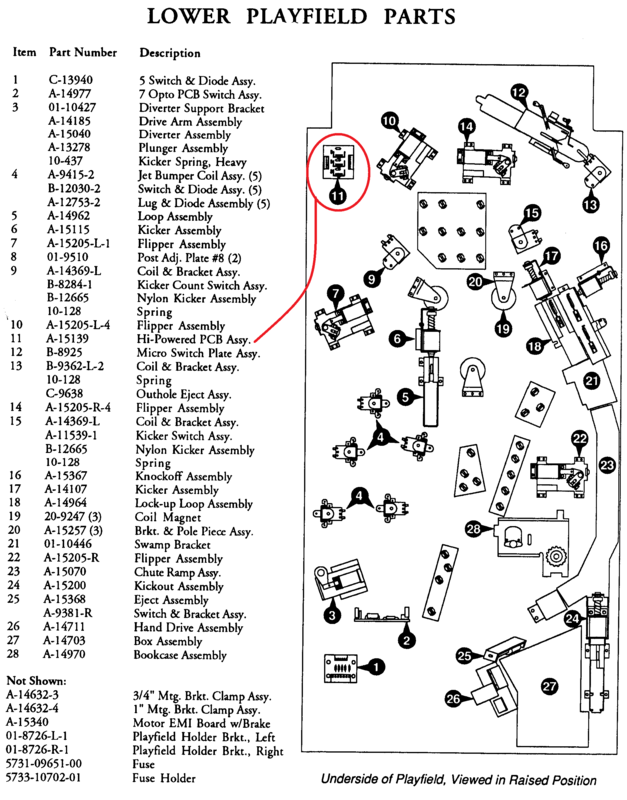 Can be serviced with original diagrams. Tested good in a real game. 2 year warranty. This replacement board will not fix a failed display. If you are missing the -120v, -100v, or +60v voltages your original display power supply has likely failed. See PinWiki for more information on testing. High efficiency LM2679T 5v 5a switching regulator. Original HV circuit with beefed up parts and fat traces. 2oz copper PCB with fat over sized traces. Compatible in Algar, Contact. Disco Fever, Flash, Phoenix, Pokerkino, Omni (shuffle), Stellar Wars, Time Warp, Tri Zone, World Cup. Comes plug and play ready. 2oz copper. Wide tracks with careful attention to routing of audio signals. Sounds great with no audible hum. Comes with the remote volume bypass jumper installed. Games that mount the sound board in the head use the J4 connector for a remote volume control knob that is found in the cabinet. If you want to use the remote volume control knob remove the jumper link labeled "REMOTE VOLUME BYPASS". Volume is adjustable by using the labeled trim pot on the PCB. *** Use the text box above the add to cart link to let me know what game you will use the sound board in. The original design of the Addams Family High Power magnet board relied on a single 5 amp slow blow fuse for all three magnets. If a single magnet locks on, it can burn the playfield, the circuit board, and the magnet itself before 5 amp fuse blows. I have a new PCB that has a 20mm 2 amp slow fuse for each magnet which reduces the chance of a magnet burning the play field to nearly zero. It is a drop in replacement with no extra harness needed. 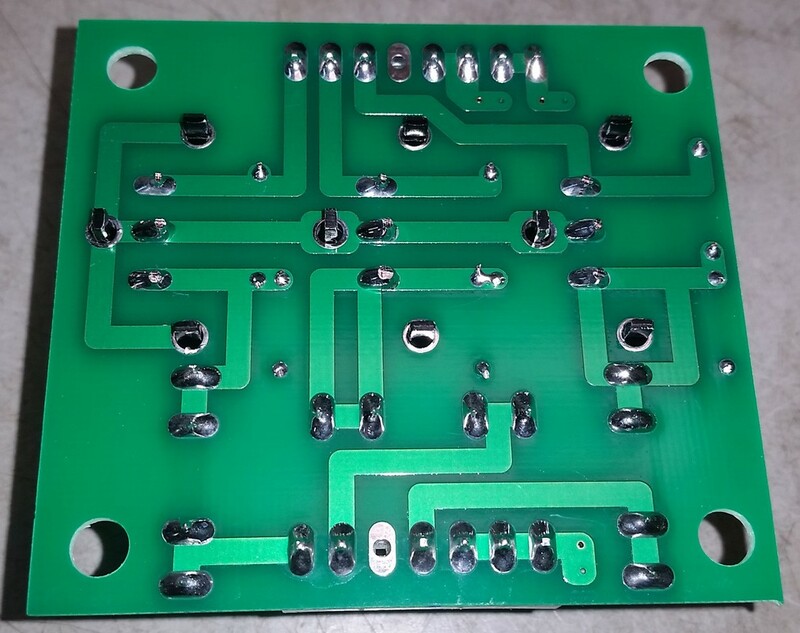 Rugged PCB design with 2oz copper, wide traces, and all header pins have a bottom side PCB connection. Install location shown in image file below. Receiver and transmitter board are sold together as a set. New rubber grommets included or the original grommets can be reused. Not assembled kit includes.... Blank PCBs. Two 9p right angle headers. Seven pairs 940nm IR Receivers (Black, blue board) / Transmitters(clear, green board). Eight rubber grommets (original grommets can be reused). New Bally / Williams 7 Opto Switch circuit board. Replaces A-15595 and A-15576 No mounting hardware included.